Yakushima Island, my field, was one of the first sites chosen to be a World Heritage site in Japan in 1993. 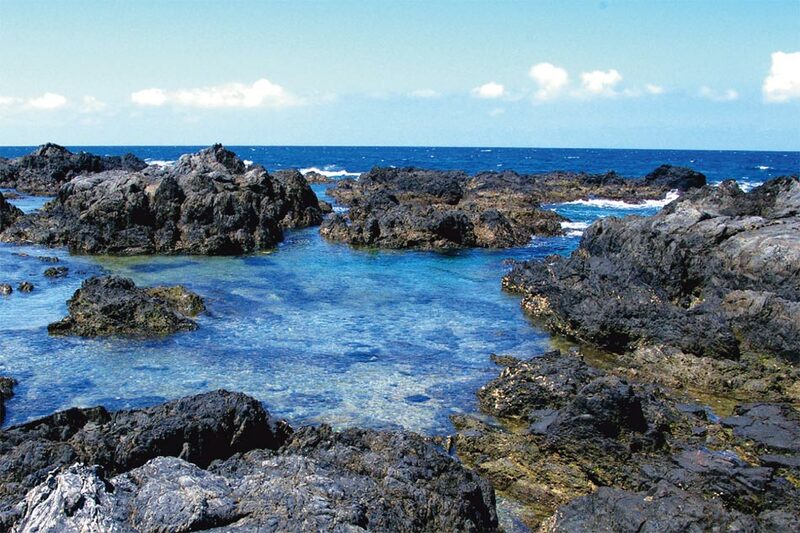 Yaku-shima Island is located at ca. 60 km off Kagoshima Prefecture, southern Kyushu, Japan. The island, roughly circular in shape and with an area of ca. 505 km² and several mountains more than 1,000 m in height (highest 1,936 m), is the ninth largest island in Japan. 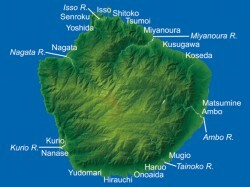 The Osumi Islands including Yakushima, are often treated as a part of the Ryukyu Islands, but the Ryukyu Islands are biogeographically defined as islands of Amami-oshima and southward. 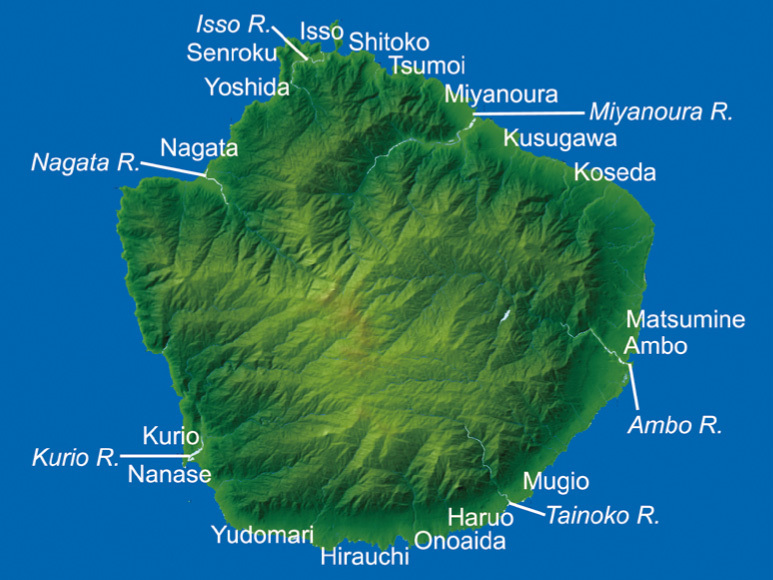 Yakushima Island, formed mostly of granite, has very limited flatlands and in its entirety appears as one large, steep mountain, with the mountain slope continuing under the sea. Thus, shallow waters, coral reefs and sandy beaches are very limited; most coastal areas are occupied by rocky reefs. Biofacies of Yaku-shima Island is affected by strongly influence of the Kuroshio Current. The current provides nutrients and plankton to feed the schools of reef fish. 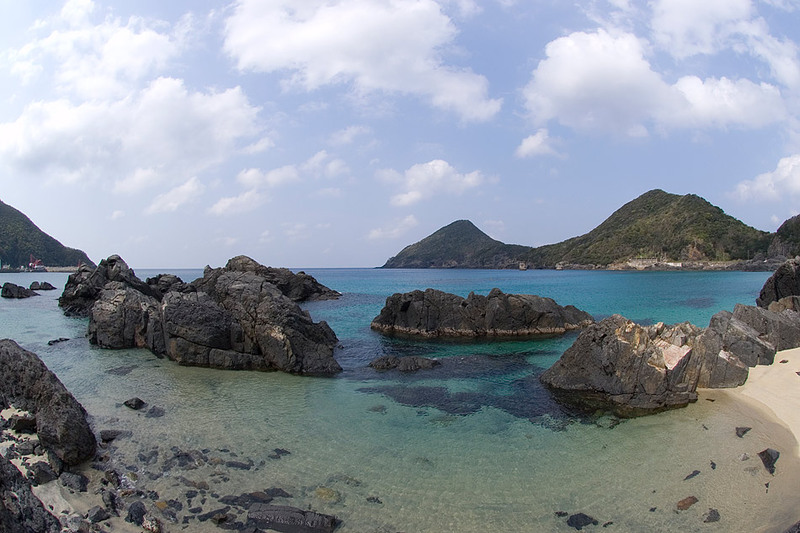 Yaku-shima Island has a relatively higher diversity because the island faces a warm, strong water current, the Kuroshio Current, which brings tropical fishes from the south. 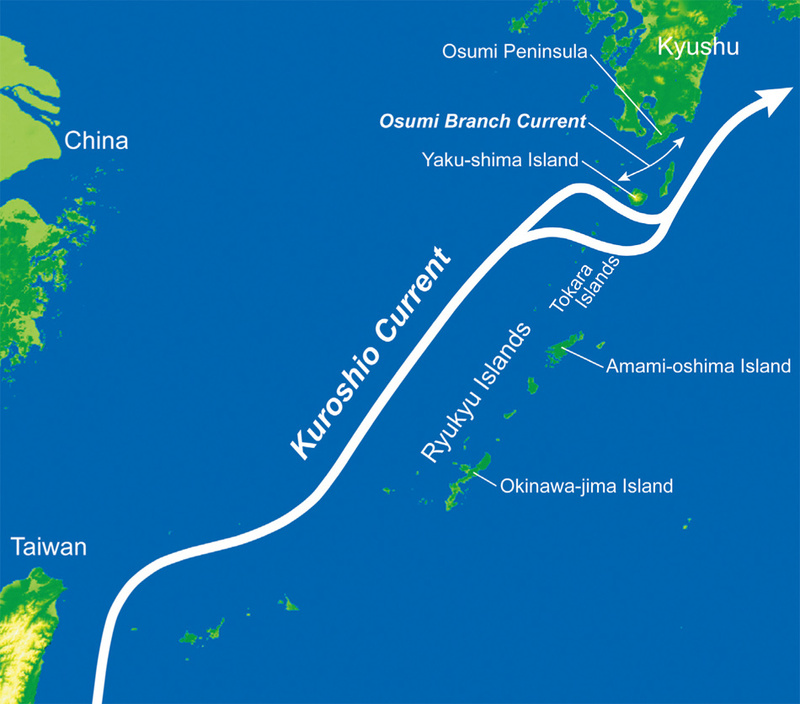 The Kuroshio Current flows from off the east of the Philippines to the Pacific coast of southern Japan, via Taiwan and west of the Ryukyu Islands. The northwardly flowing current off the west of the Ryukyu Islands turns to the east and flows through the Tokara Islands (located between Yaku-shima and Amami-oshima Islands). The current then turns north again toward the Pacific coasts of the islands of Kyushu, Shikoku, and Honshu (the main island of Japan). 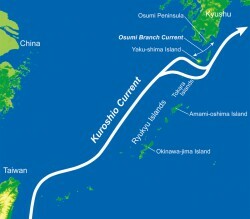 The Kuroshio Current flows along the southern coast of Yakushima Island. Also, the water currents around Yaku-shima Island are complex, with the flow rates and directions changing with seasons, water temperatures, and winds. These factors produce a unique ichthyofauna off the island.